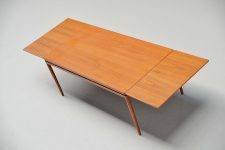 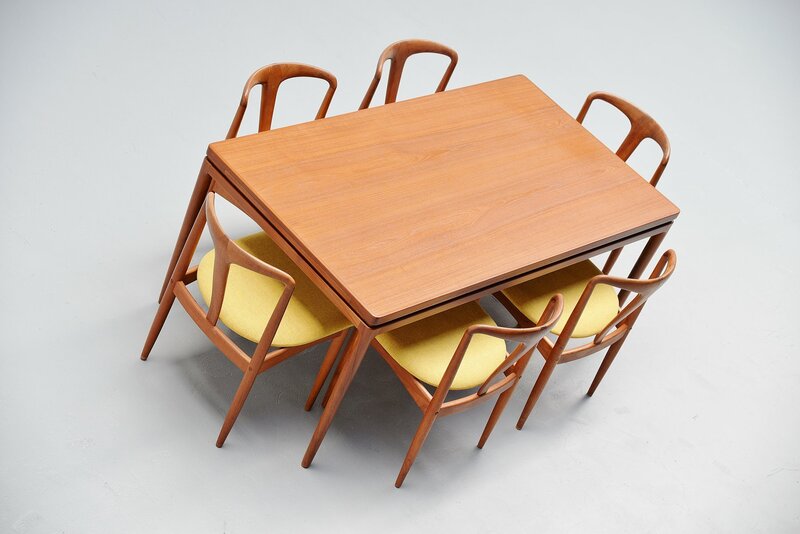 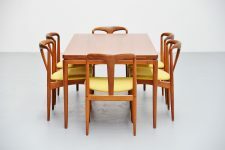 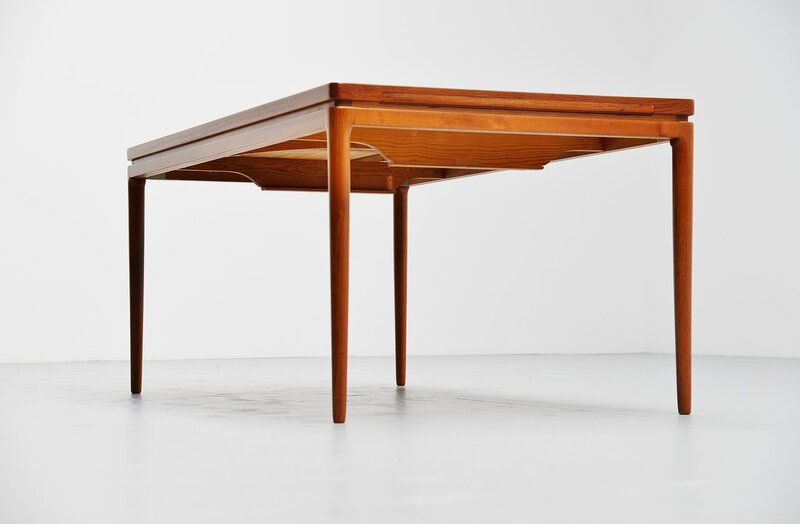 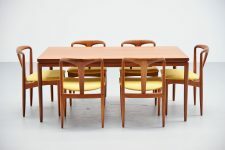 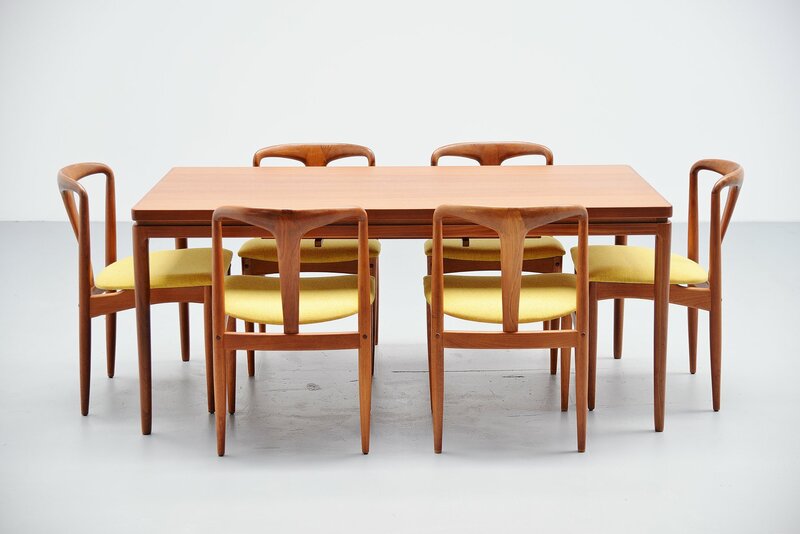 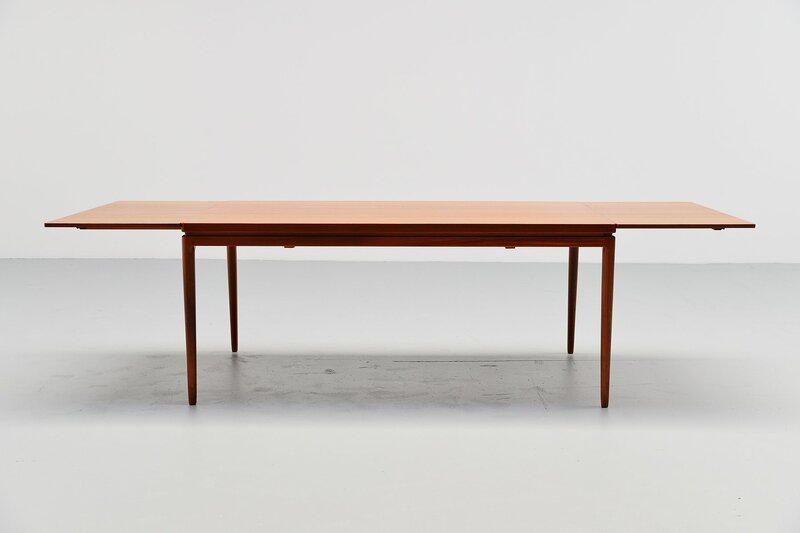 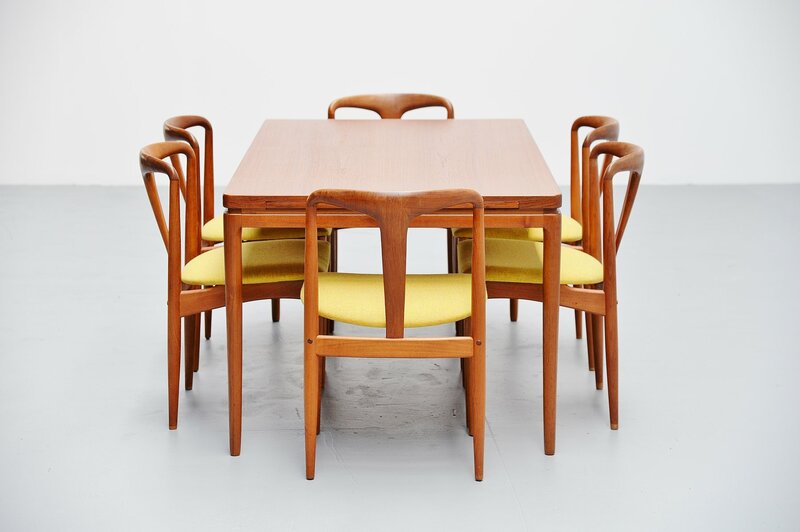 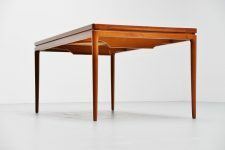 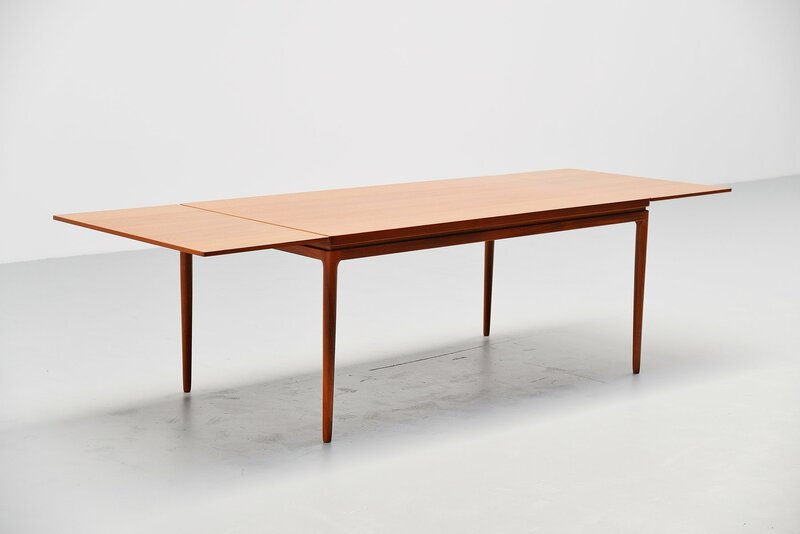 Nice Danish modern teak extendable dining table designed by Johannes Andersen for Christian Linneberg, Denmark 1964. 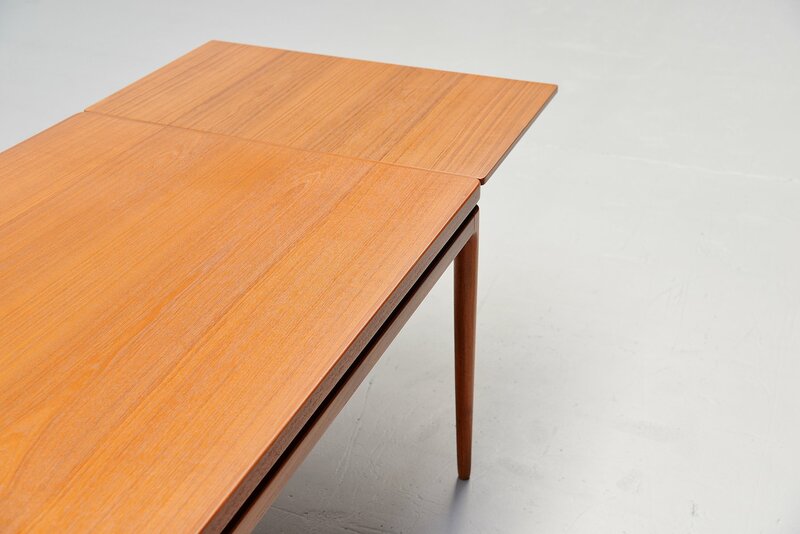 This table has an amazing grain to the teak veneer. 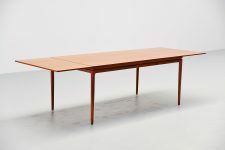 In normal position this table is 165 cm long, when you extract the extension leaves supports and add the leaves the table will increase 2x 50 cm. 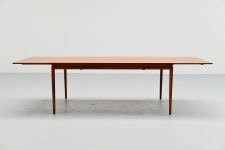 So total length when extracted would be 265 cm. Fantastic designed table in amazing shape. 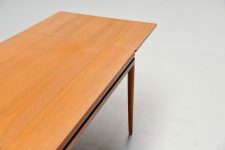 You can store the extension leaves underneath the table top.